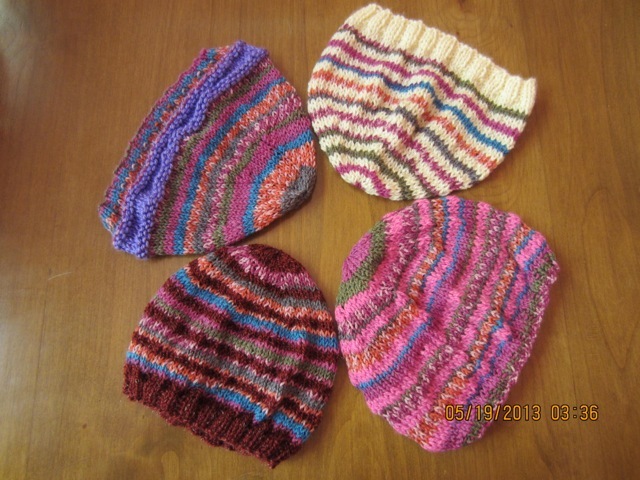 This year we asked for knit and crocheted hats for the cancer children of Merida and were presented with over 100! 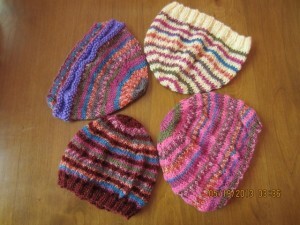 We had hats of all colours and sizes made, some with stripes, some with flowers and even some animal faces. They were delivered to the IWC meeting on Saturday March 29th. The knitters, crocheters, embroiderers and the sewers raised funds for the food bank and created gifts for the Christmas hampers. 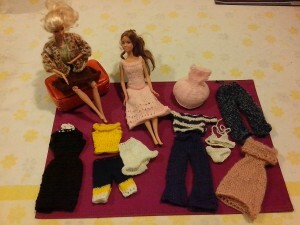 Here are some of the lovely Barbie clothes Alexis made for the naked dolls!! Now won’t that make a few girls happy this Christmas! 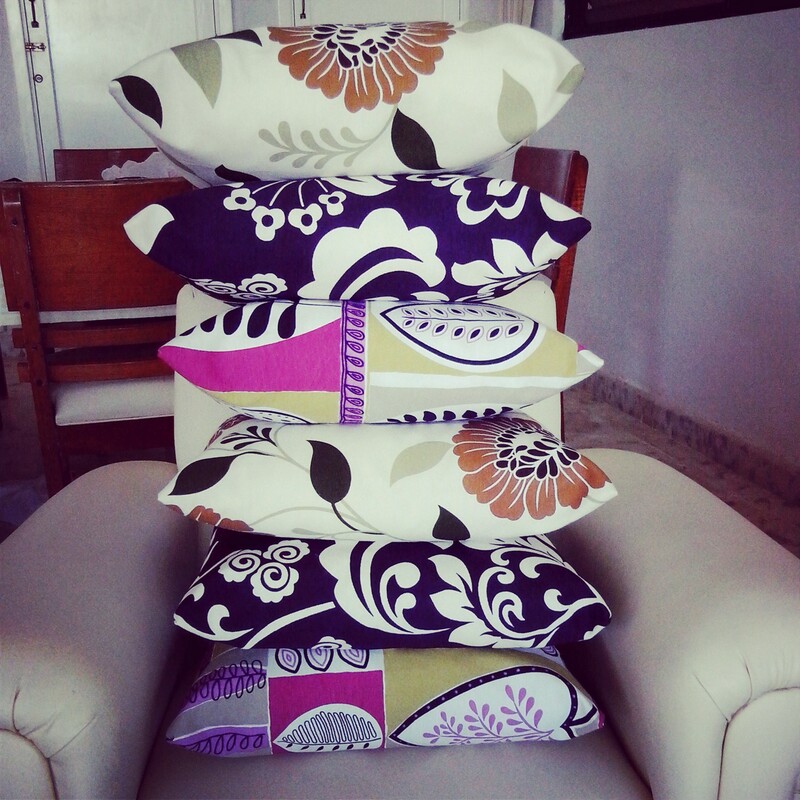 And have a look at the revamped cushions that will make some moms happy when they open them from the Christmas hampers.
. All done by talented volunteers this winter!! 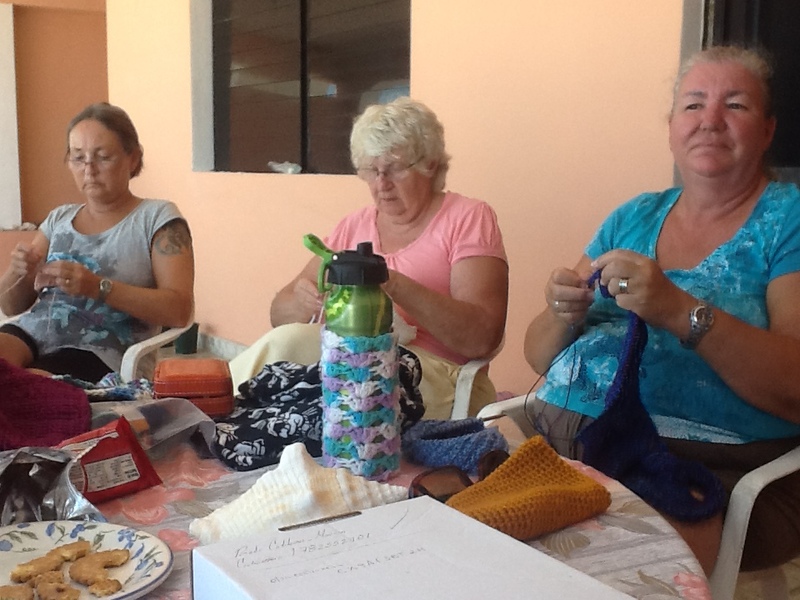 We also decided to collect money towards the foodbank and stitchers were asked to donate 10 pesos a visit, this raised 400 pesos. We look forward to returning to our stitching again next year. We hope we will have a few more people next year. At the IWC meeting a table was set up to sell purses and cozies. With the additional sales of the items at the Muelle Market, this brought the total in sales and contributions from S&B to 1400pesos.